DSLR lenses are not larger than mirrorless lenses if they are the same focal length, aperture and quality. 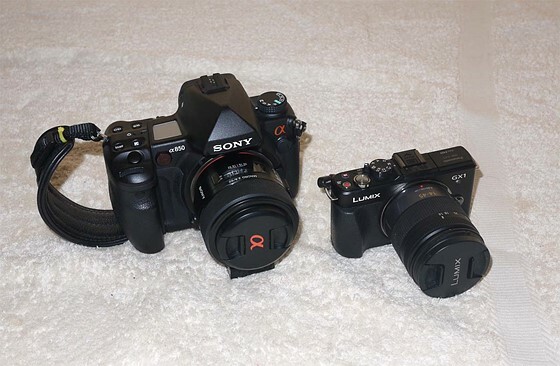 Sony FF constant f2.8 zooms E mount are the same as their A mounts and are the same as Canon and Nikons. It is a fallacy to think that just because you do mirrorless, the ONLY reason you went mirrorless is because you want small. This is the marketing brain washing that Oly and Pany had to do to create a separation between DSLR and their mFT. You want small lenses? Get slower lenses and/or smaller sensor. when people say the "advantage" of mirrorless is that it is smaller, I know they drank the Kool-Aid. Mirrorless removes the mirror. Everything else is physics and technology and nobody is beating physics and nobody is making innovation that the other brands are equalling or have access to. I would argue that what saved mFT (I bought EP1 and G1 fro the get go) is Sony. With Sony sensor, without PDAF on sensor, mFT would be lagging. What about E-M1 II/GH5 heavier than A6500? size advantage?